Do you ever look at photos, book the accommodation and arrive only to be disappointed because the photos didn't match the actual, the towels looked as if they've seen better days and a note from the owner tells you the heating only comes on once a day! Garden Cottage photos match the actual, the towels are big and fluffy and thanks to the recent installation of a bio mass boiler it's lovely and cosy 24/7. A little over an hours drive from Aberdeen, Garden Cottage at Byth is just outside the hamlet of New Byth and is ideal for couples, families or a group of friends who want to be close enough to the city while enjoying the peace and tranquility of the beautiful North East countryside. Situated on a family run working farm the cottage is very private, has ample parking and a lovely large landscaped garden that's laid mainly to lawn - ideal for children to play safely. The cottage is detached, on one level, double glazed, centrally heated and extremely well equipped. The large open-plan living/kitchen/dining area has a wood burning stove (logs are supplied), a flat screen TV with Freeview, video, DVD player, music centre, books and CD's. There's two leather sofas with matching chair and a foot stool. Doors from the lounge lead onto the patio, which is in full sun for most of the day, where you can relax on the garden furniture and enjoy the tranquility that Byth brings. The large dining table easily seats 6 so no scrunching up as you fight for elbow space. The kitchen has a dishwasher, microwave, fridge and electric cooker. The crockery is neutral and the cupboards house plenty of pots, pans, serving dishes and glassware. We provide a welcome basket as there's also tea, coffee, sugar etc plus the "little extras" such as bin bags, washing powder, dishwasher tablets and soap. The utility room, off the kitchen, has a washing machine, separate dryer, freezer, iron and ironing board. The cottage has two bedrooms; first bedroom has a double bed and the second bedroom has twin beds. There is also a z-bed suitable for children, a single blow up bed and a cot. There are two bathrooms: an ensuite shower room in the double bedroom and a family bathroom with shower over the bath next to the twin bedroom. Garden Cottage is well situated for exploring castles, tucked away coastal fishing villages and beautiful long untouched sandy beaches with hidden coves. You can follow the Malt Whisky Trails, play golf at one of the excellent nearby courses or enjoy some great fishing and shooting. All are within easy reach. Pack a picnic (there's a basket and a cooler for your use in the cottage) and enjoy the beautiful nearby beaches which include Banff, Inverboyndie, Cullen, Fraserburgh, Balmedie, Findhorn and Hopeman. The nearby villages of New Pitsligo (mini mart, Indian restaurant, chemist, library, Fish & Chip shop, Chinese takeaway & post office) and Strichen (excellent butcher, small Co-Op supermarket, chemist & several hotels) are a short drive and the market town of Turriff and Banff have lots of shops and restaurants. The village of Pennan, where scenes from Local Hero were filmed, is a short drive away as are the lovely little fishing villages of Portsoy, Sandend, Crovie and Gardenstown. Laminate flooring throughout with the exception of the bedrooms which have neutral carpeting. 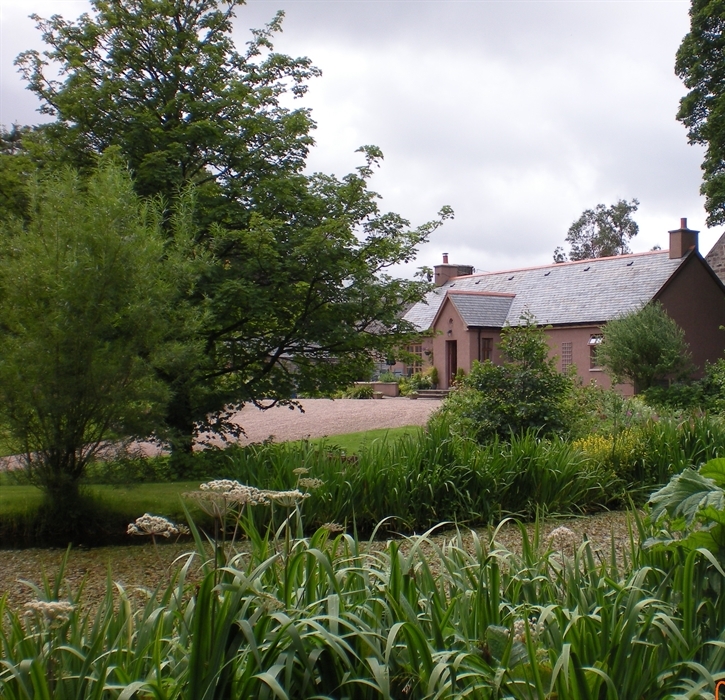 Pets are welcome but we do ask they are kept within the main living area of the cottage, and kept out of bedrooms. Please let us know, at time of booking, if you are bringing along your pet.